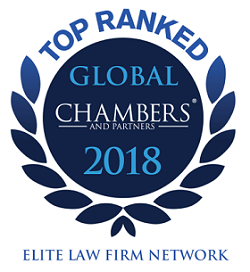 We are extremely proud to announce that L&E Global has been awarded the “Elite” status among the global-wide employment law networks in the recently published edition of Chambers Global 2018. This is a great recognition of all the efforts and all the hard work of our member firms to build our strong global alliance, dedicated to excellence. For more information please contact Joseph Granato, Communications Manager at L&E Global at joseph.granato@leglobal.org. L&E Global, a worldwide leader for cross-border labour and employment law services, is proud to announce that the preeminent full-service business firm Atsumi & Sakai has joined L&E Global as our Affiliated Member in Japan. This series of informative and smartly-designed publications have become the relied upon “bible of choice” for employers operating both nationally and across borders. The Global Edition guide outlines the employment law regime across 20+ key jurisdictions worldwide. In keeping with the principal themes of Pre-Employment, Employment and Post-Employment issues, the Global Edition delivers invaluable insight into the fundamental labour and employment law matters that national and international employers need to be aware. Van Olmen & Wynant just recently had the honour of hosting a new Employment Forum at the headquarters of MIVB/STIB, the public transport operator of Brussels. The Employment Forum, organised with the support of the Belgian Institute of Company Lawyers, was attended by over 60 HR and legal professionals. L&E Global is proud to announce that our member firm in India, IndusLaw, has recently received two highly prestigious awards – Chambers & Partners 2019 Award for Client Service Firm of the Year and the India Business Law Journal (IBLJ) Labour and Employment Firm of the Year. Congratulations to the exceptional team of labour and employment law specialists at IndusLaw! We are proud to announce that for the second year in a row, L&E Global has been ranked in the ‘Elite’ class of Global-Wide Employment Law Networks in the recently released 2019 edition of Chambers Global.